The Secrets of a Super Hacker Free Ebook Download. | Kanishk's Technical Blog. The Secrets of a Super Hacker Free Ebook Download. Today I'll Provide You with a New Ebook. 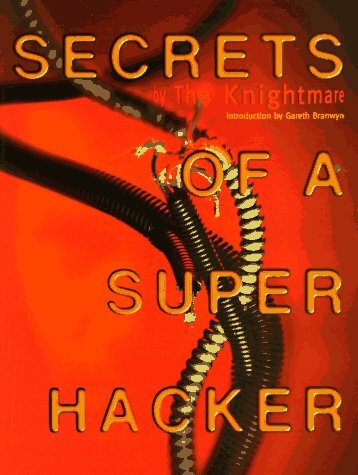 The name of the Ebook is "Secrets of a Super Hacker". Anyone concerned with Computer Security and Data Privacy needs to Read this Ebook. You Can Find the Download Link for Secrets of a Super Hacker Ebook at the end of this Post. Given Below is the Table of Contents of Secrets of a Super Hacker. Introduction : Heroes or Villains? Part I : Before Hack. 2. The History of Hacking. 4. Passwords and Access Controls. Part II : During Hack. 7. Public Access Computers and Terminals. 8. On-Site Hacking - The Trespasser Hacker. 10. Electronic Bulletin Board System. 12. What To Do When Inside? Part III : After Hack. 14. Hacker Security : How to Keep From Getting Caught. To Download The Secrets of a Super Hacker Click Here.